Sometimes you just have to create something truly over the top and amazing, a feast for the eyes. This Easter Spectacular Layer Cake with Honey Meringue Frosting looks impressive but uses the easiest of techniques and the simplest ingredients! 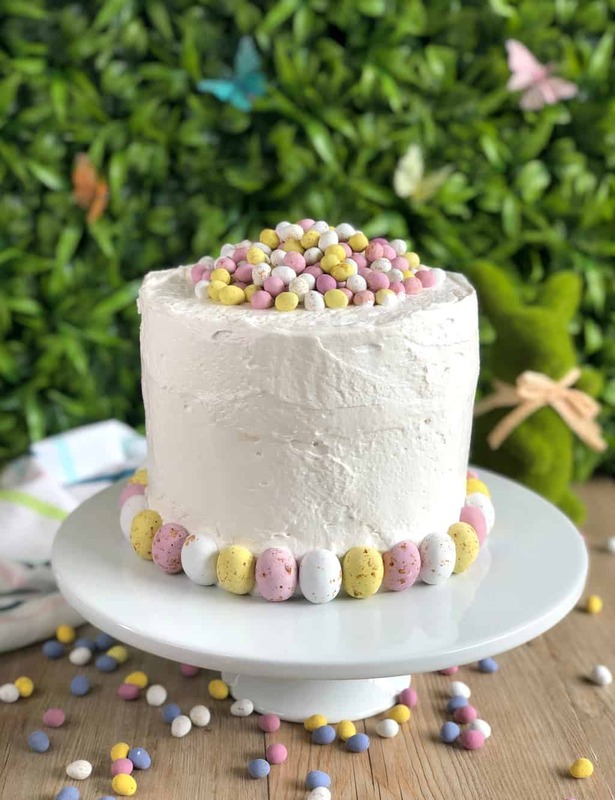 Easter is just around the corner, it is a time to celebrate with friends and family. 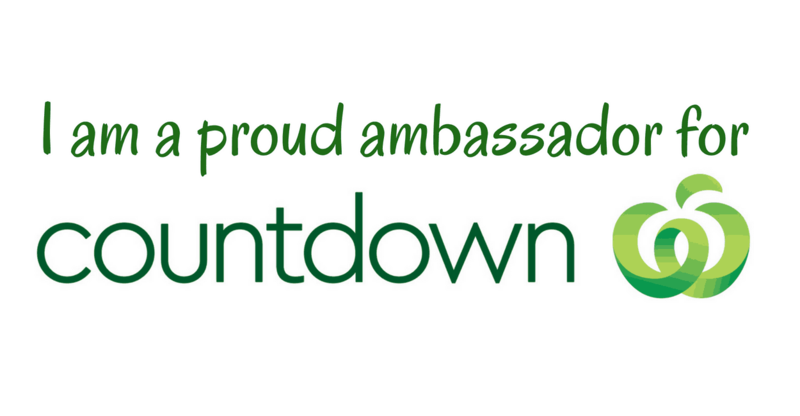 I’ve partnered with Countdown Supermarket to showcase something truly decadent this year. 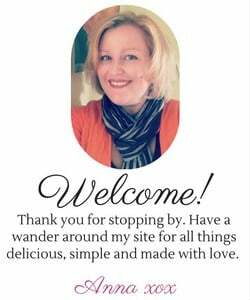 I have hundreds of recipes on my blog you can choose from but how about something so over the top that you will be the talk of the family for years? Then I have you covered. 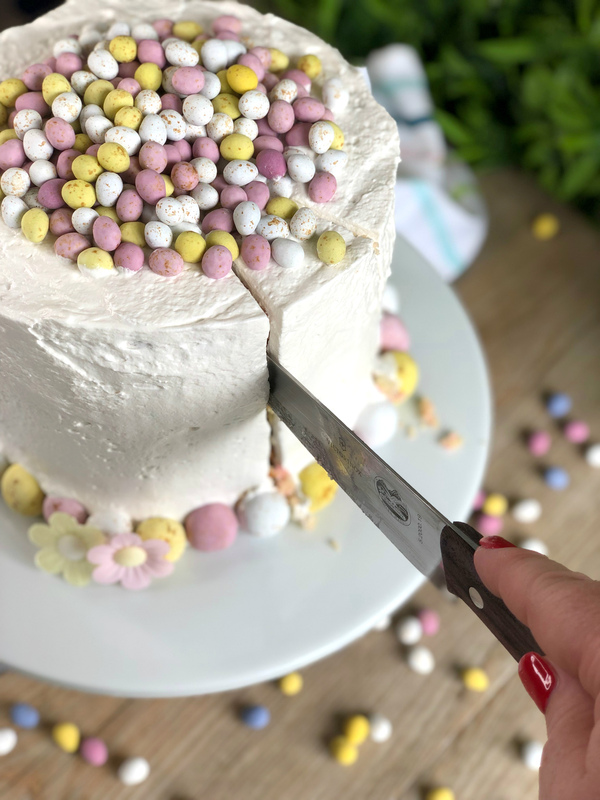 For all the beauty of this masterpiece of construction it really is just three simple steps, my Grandma’s Vanilla Wonder Cake, a simple white chocolate ganache and an outstanding but oh so easy marshmallowy Honey Meringue. 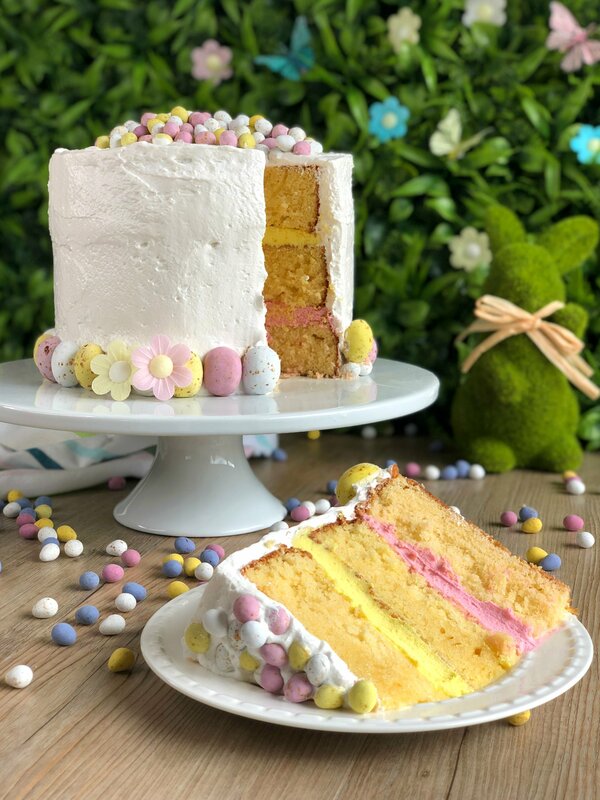 Add some Easter tidbits and you have the Easter Spectacular Cake! 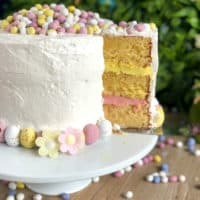 If you are not wanting to go to quite this level of commitment, you can use the same techniques for a much smaller cake, use some or all of the frosting ideas and create your own version of a special celebration cake. I’ve mainly used Countdown own brand products for this one, which are great quality and easy on the wallet! I always use Countdown’s branded flour, sugar, icing sugar, cream, milk etc and I am really happy with the way they hold up in my baking. 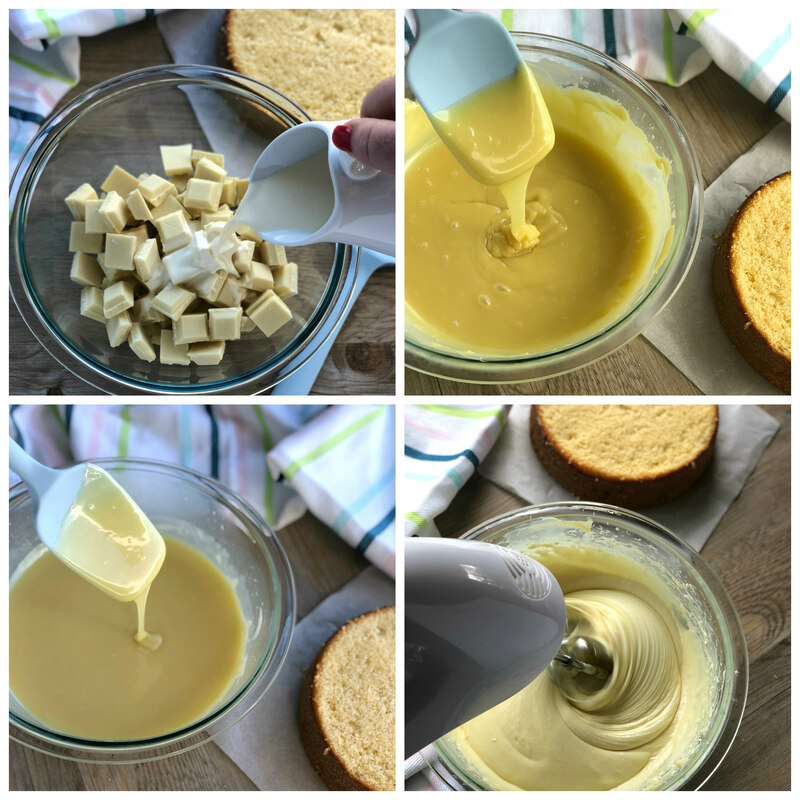 Using simple everyday ingredients in this cake is super important to me, basic techniques too! So a little bit about the layers. 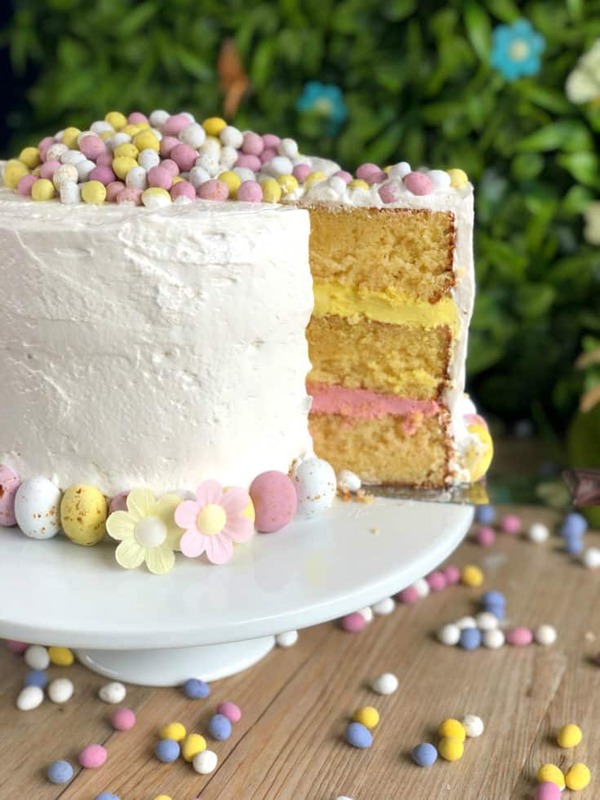 The wonder cake is an old classic recipe, using simple techniques this is a lovely light vanilla cake with a subtle but delicious flavour. So easy to make, I have made 3 x 20cm cakes for the layers. You can prepare these ahead and even freeze if you wish to prepare a few days in advance. 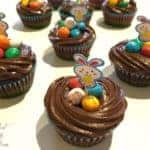 This recipe also makes lovely cupcakes and I know either of these icing techniques would be lovely on top of some cupcakes. 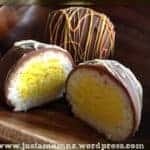 I have a few tips for getting smooth tops, ones that do not rise into a high dome, one is to create a wrap around the outside of the cake tins, but I have found for this recipe that makes the cakes too dense, the other fun one is to pop an oven tray on the shelf above the cakes, use fan forced or multibake setting and cook for the first 15 minutes with the tray in, then remove and cook for the remainder of the time. It seemed to work well for me, give it a try some time! This meant that I only had to slice off a small curve from the top of each cake which means I get more cake! The outside is a truly magical frosting. There are literally hundreds of meringue icing recipes around. Swiss, French and Italian Meringue Buttercream, Maple Syrup Meringue Frosting, and this one sits along side them but with no fancy techniques, no gelatin and it is super quick to make and pretty hard to stuff up – my kind of recipe. This is a honey meringue frosting, it makes a lovely flavourful pillowy icing that is such a delight to work with and makes the cake look extra special. The decoration is totally up to you! 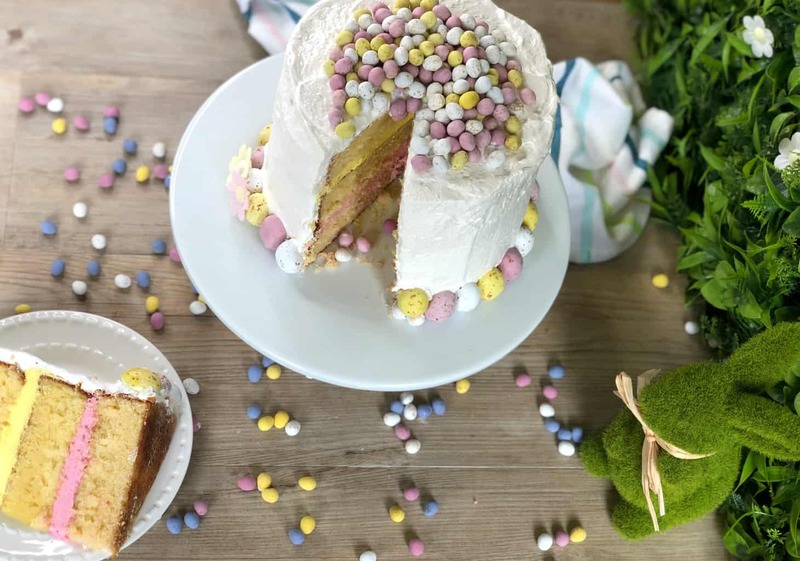 Depending on the occasion you can find all sorts of lovely toppings, baubles and edible treats to top your cakes with at Countdown, especially so at Christmas and Easter. You can make this cake as classy or as over the top as you like. The overall flavour is not too sweet. The cake is lightly flavoured, the white chocolate ganache is rich and the frosting has the light honey flavour and a marshmallowy texture. I cannot wait to hear what you think of this one! 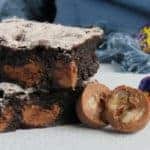 This is truly spectacular in every way, but simple ingredients using easy techniques so it is totally fun and achievable! Chill the ganache in the fridge for 20-30 minutes and once cool whip with electric beaters until light and fluffy. With room temperature eggs, separate the egg whites from the yolks, ensuring no yolk is present. 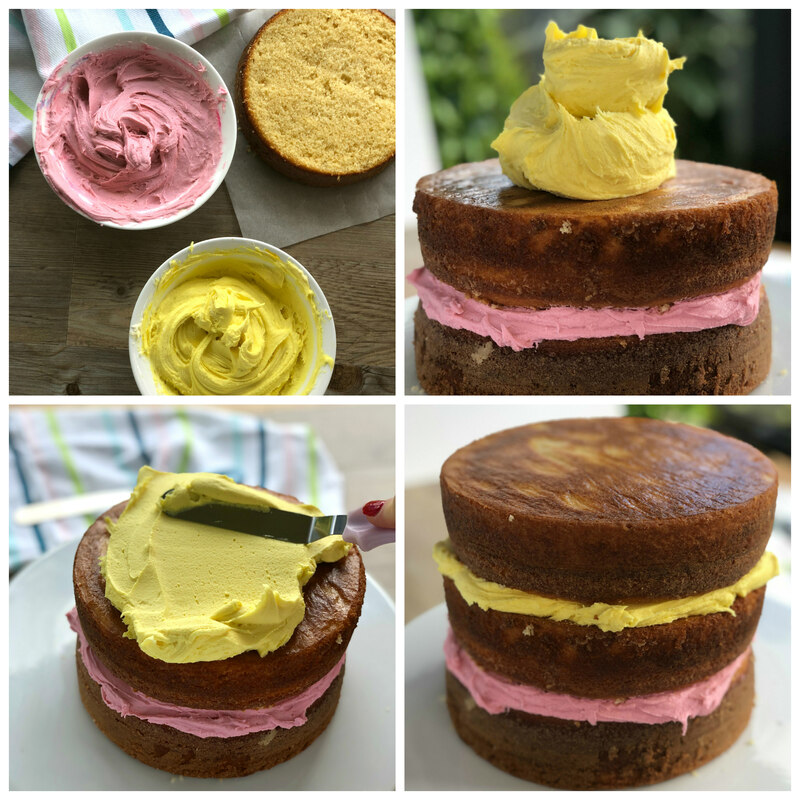 This makes a large amount of icing, if you do not require it all at the time you can store it in an airtight container in the refrigerator for another recipe. Add the second layer and colour of white chocolate ganache as above. Place the third layer of cake and ensure the cake is still even and level on the sides and top. Top with decorations of your choice.